It has been nearly three years since Mohamed Bouazizi set himself on fire in Tunisia, an incident that sparked the mass demonstrations that led to the Arab Spring. It’s clear that the Arab Spring has irreversibly changed the region, but it is difficult to predict what the long-term result of the revolutions will be. Nonetheless, recent developments in Tunisia highlight the fact that progress is possible, as the country is now undergoing the first peaceful transition of power since the Arab Spring began. In January of 2011, amid tremendous pressure Tunisian President Ben Ali stepped down from power, the first of a series of authoritarian leaders across the region to relinquish or lose authority after decades of oppressive rule. Since then, Tunisia is the only country to successfully emerge from regime change without the same level of violence and conflict that continues to plague Egypt, Libya, Syria and Yemen. What then makes the Tunisia of today unique, and what is in store for the Tunisia of tomorrow? Tunisia is a relatively modern and stable economy not reliant on oil and it has traditionally enjoyed a large amount of Western investment. Unlike Syria, there are no regional or international powers fighting for their affiliate group to win. Furthermore, compared with the countries listed previously, Tunisia is the most homogeneous. Around 98% of the country is ethnically Arab-Berber, and religiously Tunisians are almost exclusively Sunni Muslim. These factors suggest Tunisia has a relatively easier path towards political stability in comparison to its regional neighbors. Tunisia has gradually made moves towards becoming a more inclusive democracy, but the transition has not been without incident. The largest setback occurred when two prominent politicians of the opposition Popular Front party were assassinated earlier this year, and the ruling Ennahda party drew significant criticism for responding inadequately to the situation. The moderate Islamist Ennahda party has been accused of bowing too much to hard-line Islamist demands, though Ennahda notably rejected Sharia law and has worked with the secular opposition moving forward. Furthermore, discontent over the inability of Ennahda to construct a viable constitution or properly address the country’s economic woes have caused its popularity to drop over time. As a result of such pressure, Ennahda recently agreed to share power with the opposition led by the secular National Salvation Front via an interim government. This move is incredibly significant, because although it came at the behest of public outcry and opposition pressure, it signals the first transition of power in a peaceful manner of its kind in wake of the Arab Spring. Political competition in general is healthy, and Ennahda’s realization that it may better serve the country and pursue its own agenda as an opposition party signals that the system is progressing in the right direction. So long as there is balance between the various political and religious interests in the stake of Tunisia’s future, compromise can occur and move the country forward. Every party in power thinks that it knows what is best for its country, however, the realization that not every citizen shares exactly the same goals is crucial in a representative government. 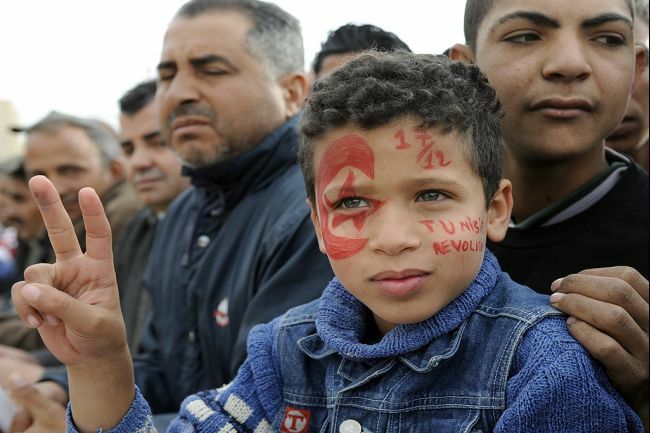 If Tunisians can hold their government accountable and force them to reform when needed, then there is hope for the future of the Arab Spring.